Birmingham Cathedral is inviting members of the public to make a ‘Prayer for our Nation’ during the ongoing Brexit negotiations. The idea for ‘Prayer for our Nation’ came from the Archbishop of Canterbury, Justin Welby, and Archbishop of York, John Sentamu. 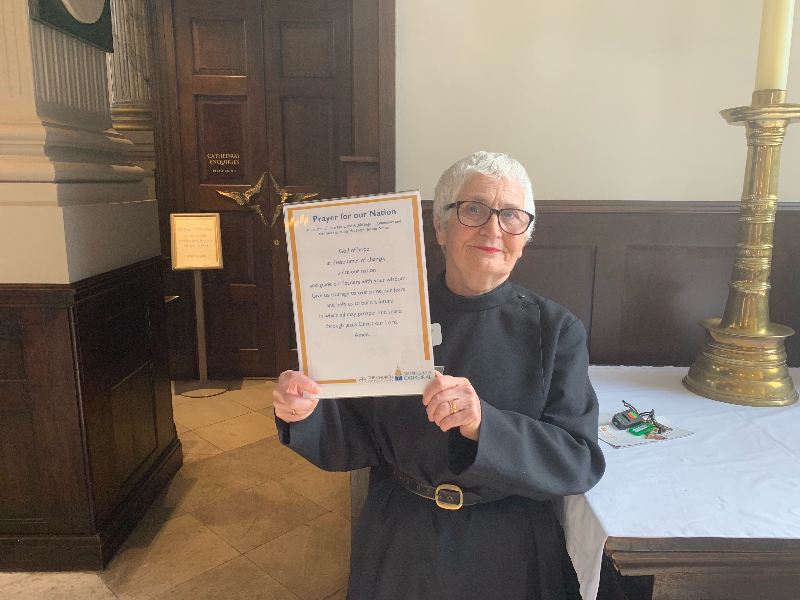 The prayer was read at noon on Friday 29th March by Visitor Chaplain Carol Hayes who called for God to ‘guide our leaders with your wisdom and help the UK to build a future in which all may prosper and share’. “I think throughout the whole Brexit debate there has been a spiritual silence. That is an aspect of the debate that is missing. There has been too much focus on the economical side and not enough on the spiritual health of the nation. “Christians, like anyone else, have their own political opinions and affiliations. “The leave vote has shown a lack of humility and consideration of where others in Europe have come from. “We are a selfish nation and we need to repent for that and say sorry. “[Christians] are mute mostly. I try to get in conversation with people, but I think it’s because they do not know what to say. It is all a muddle and [there is]a complete lack of clarity. The prayer written by the Archbishops will be on display beside the Cathedral’s prayer station throughout the weekend.